On Saturday, April 13, 2019, more than 30 members of the Estonian Society of Central Florida/Kesk Florida Eesti Selts gathered for our traditional April birthday celebration and potluck picnic. Once again, we gathered at the lovely waterside picnic grounds that are part of the Seminole Isles condominium association where Anneliis Kuusik lives. Thank you, Anneliis, for making this possible! It’s the perfect size for us and we love it here! Our potluck lunches are always a delight! Our wonderful members continue to offer Estonian-style traditional dishes (Anneliis Kuusik’s sauerkraut, Astrid Normet’s and Kaie Põhi Latterner’s rosolje, and Reet Cabrera’s potato salad); Jae Toomepuu’s herring and rye and salmon and white bread sandwiches; and Marju and Dallas Dishmey’s empanadas, Virve Kai Bulla’s porgandi pirukas, and Anne Holda’s kringel. This year, for dessert, we also enjoyed three traditional French pastry tarts; thank you, Vincent Delaidatti! And oh yes, there was champagne generously contributed by Tõnu Toomepuu and perfect for our birthday celebration. Sincere apologies to those whose names and dishes aren’t listed; we lost track of the details! Our members enjoyed the time together in great conversation. This is the last official event of the Estonian Society of Central Florida/Kesk Florida Eesti Selts “academic” season and our opportunity to send everyone off for summer with our best wishes. We are on break now for the summer and plan to see each other again “officially” in October. Please visit our web site in September for information about the date and location when we meet again in October. If you’re in our area before then–drop us a line! We always love to get together in “unofficial” ways too! In the meantime, have a great summer! Kesk Florida Eesti Selts/Estonian Society of Central Florida Celebrates EV101 With Joy, 23. veeb. 2019.a. Far exceeding the attendance guesstimates of the Kesk Florida Eesti Seltsi (KFES) juhatus/Estonian Society of Central Florida Board, 71 guests attended the association’s celebration of the 101st anniversary of the Republic of Estonia. The weather and the setting couldn’t have been more perfect: It was another grand blue sky hot sunny day as we gathered in the lovely ballroom in the beautifully situated Feather Sound Country Club in Clearwater, Florida. Starting with cocktails at 11:00 am, the event was well paced to its 3:00 pm conclusion giving guests plenty of time to enjoy our engaging program, delicious lunch, and spirited conversations. Lisa A. Mets, KFES asepresident/Estonian Society of Central Florida vice president (we decided not to elect a president this year), served as emcee for the formal program. She welcomed four distinguished guests who joined us in our celebration: Hr. Jaak Treiman, Eesti Vabariigi Aukonsul/Estonian Honorary Consul in Los Angeles; pr. Kaie Põhi Latterner, Eesti Vabariigi Aukonsul/Estonian Honorary Consul in St. Petersburg (FL) for the northern counties of Florida; The Honorable Mrs. Kairi Künka, Eesti Vabariigi Peakonsul/Estonian Consul General in New York; and Ms. Kersti Eesmaa, Konsulaarosakonna peadirektor/the Director General of the Consular Department, Estonian Ministry of Foreign Affairs, who brought greetings to our assembly. KFES was especially honored and privileged to introduce our beloved member, Kaie, as the Estonian Honorary Consul, St. Petersburg (northern counties of Florida); the Honorary Consulate was officially re-opened when Kaie took her oath of office on Friday evening, February 22, 2019, in her home. You may read the Foreign Ministry’s press release about the event here. KFES was especially delighted too to welcome back Lgp. pr. Künka, who had participated in the KFES celebration of EV100 last year. In response to Ms. Eesmaa’s greetings, Lisa asked Ms. Eesmaa to convey the gratitude of Kesk Florida Eesti Selts for the recognition conveyed by the Ministry of Foreign Affairs on Citizen’s Day, November 26, 2018, on the organization we know and love as KLENK: Kesk Lääne Eesti Noorte Koondis, affectionately called Kesk Lääne Endise Noorte Koondis, now 60 years old. Many KFES members lived in the Midwest and were active participants and organizers of KLENK gatherings. In 2011, to keep KLENK alive, Kesk Florida Eesti Selts hosted KLENK in St. Petersburg and transformed KLENK for snowbirds. Out of that the KLENK-IEP Caribbean cruise was born under the amazing leadership of Anne and Rein Luning. Many of us will be on the ship when the KLENK cruise sets sail for its third voyage on March 2, 2019. We thank and applaud the Ministry of Foreign Affairs for choosing KLENK as a recipient of this distinguished award. Lisa designed her remarks around this theme: Why do we do what we do when we celebrate Estonian Independence Day? After all, the format of our program likely matches the programs hosted by numerous other Estonian associations taking place across America this month. Do we do what we do because it has always been done this way? What is the thought behind each element in our program? Lisa guided the guests through each step in the program with introductory remarks primarily focusing on Estonia’s history and culture. Kaie Põhi Latterner accompanied all of the musical elements of our program. In her remarks, pr. Künka noted that Mart Meri, a member of the board of the Estonian Institute, expressed a dream of “increasing the number of Estonian language speakers in the world to at least 1.5 million.” [Kesk Florida Eesti Selts is doing its part! Our musical program featured songs sung in Estonian by Rein Männik and our usual energetic Estonian Ühislaul/sing-a-along. Three of our favorite songs were enjoyed: Viljandi Paadimees, Ma Tahaksin Kodus Olla and Kungla Rahvas.] Pr. Künka concluded her remarks saying, “We have to continue working for the security and prosperity of our country, preserving its rich cultural heritage and keeping our language, all together, Estonians at home and abroad.” In today’s program, Kesk Florida Eesti Selts, celebrating its 40th anniversary this year, recommitted itself to doing just that. “In Memoriam” is the fourth element in our program. In her introductory remarks, Lisa reviewed the history of the Estonian war of independence fought from November 2018 to December 2019; the tragedy of World War II on the Estonian population; and the ultimate sacrifice made by Estonian soldiers in Afghanistan and Iraq. All of our guests stood to honor our fallen heroes by singing together “Puhake Paremad Pojad.” The closing element in our formal program was, as always, the singing of the Estonian National Anthem. We stood and heartily sang with joy in our hearts and tears in our eyes “Mu isamaa, mu õnn ja rõõm.” Elagu Eesti! A delicious lunch followed with fabulous service by the Feather Sound Country Club staff. Kaie Põhi Latterner then took over the remainder of the program. She noted that, as the custodian of the book, she brought the lovely History of the Eesti Kroon and placed it on display for all to enjoy. This was a gift to KFES by the author for EV100. We offered a champagne toast to Estonia: Elagu Eesti! Thank you, Robin and Tõnu Toomepuu, for the champagne. Then we had fun with the loterii: Triin Karr and her daughter Annika and son Logan drew the winning tickets. Thank you to all our KFES members for bringing contributions to our loterii table! We engaged in our musical program. Rein Männik, our featured musician this year, serenaded us with several lovely songs, each with a story of significance to Rein. Ühislaul, as always, was enjoyed by all who end up rocking, rolling and clapping along. Though we didn’t offer a rahvatants/folk dance program this year, we concluded our musical activity with a huge circle of guests dancing the Perekonna Valss. Closing remarks were offered by Aukonsul/Honorary Consul Kaie Põhi Latterner. As is customary in Kaie’s remarks, she had all of us standing at the end because we were born in Estonia, we were born to Estonian parents, we married an Estonian, and/or we love an Estonian. That covered 100% of our guests. Bringing our celebration to an end, we adjourned outside for a group photo on the balcony and conversation that didn’t want to end. We hope you enjoy our photos. Please plan to join us next year! By Florida standards, it was a cold, rainy and windy day–just the perfect setting for our annual supp ja võileiv lõunasöök (soup and sandwich luncheon). Just about 50 members gathered together, and we were delighted to see old friends and welcome some new ones too! Everything everyone contributed to the luncheon was simply Esto-so-delicious! A highlight of the afternoon in what has become a favorite and customary activity for us was our ühislaulmine (group singing) energetically led by Kaie Põhi Latterner on the accordion. Though we have lots of great activities ahead of us, we’re already looking forward to this annual event next year. Enjoy the photos! 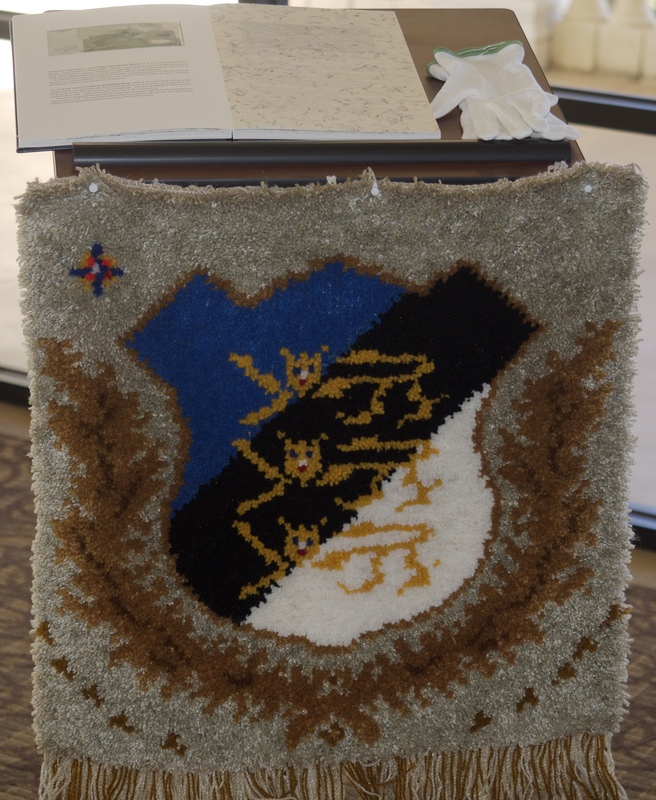 This year, the Estonian Society of Central Florida/Kesk Florida Eesti Selts will be celebrating the 101st Anniversary of Estonian Independence. The year 1919–100 years ago–was a year of battles on our beloved Estonian soil that adds great significance to this year’s commemoration of our independence and our valiant fighters. WHEN YOU RESPOND TO ANNELIIS KUUSIK WITH YOUR RESERVATION, PLEASE LET HER KNOW YOUR MEAL SELECTIONS: Teriyaki Fish (Mahi Mahi) or Chicken Piccata. Children will be served chicken fingers. Here is information about our next two events, which we hope you will plan to attend. Both events request that you make reservations in advance. This is a potluck, and members make Estonian-style soup, sandwiches, salads and desserts; please bring your soup bowls and spoons too! THE GATE CODE TO GAIN ACCESS IS PROVIDED IN EMAIL. Call Anneliis’s cell phone number (860) 810-3469 if you have trouble getting in. ADVANCE RESERVATIONS ARE A MUST BY MONDAY, JANUARY 21; WHEN RESPONDING, PLEASE LET US KNOW WHAT YOU PLAN TO BRING. KFES will provide soup, iced tea and coffee. Please bring your own adult beverages, if you like. Please remember: Our KFES membership dues are $20 per adult. We are happy to collect your dues at our next two events. If you would like to volunteer to help us with our events, please let us know. We especially welcome “clean-up” crews after our events.The more the merrier! On Saturday afternoon, December 8, 2018, about 55 members of the Estonian Society of Central Florida (Kesk Florida Eesti Selts (KFES)) gathered at the beautiful home of Kaie Põhi Latterner in North Redington Beach (FL) to celebrate a traditional Estonian Christmas. Well almost. A white ibis, Santa’s Florida navigator, guided Jõuluvana to Kaie’s home (can you spot him on the roof? ), which is located about a block away from a white sandy beach. The weather was spectacular with 80 degrees and a clear blue sky. We filled Kaie’s home to the brim and, thankfully, we were able to spread outside to the beautiful poolside and waterside setting. Once the sun set, hardy members gathered fireside. Palm trees instead of pine trees swayed in the background. We welcomed Jõuluvana with song. Children delighted in his arrival. At first, Santa needed to wait patiently for the first daring child to come forward. And things rolled easily from there. Our hostesses serenaded Jõuluvana with their own special song, Living in a Florida Wonderland, sung of course to the tune of Walking in a Winter Wonderland. We’ll be adding that special song to our song sheet next year. What fun that was! At the end, Jõuluvana was quite moved when Chloe Cabrera presented him with special thank-you gifts. We had a fabulous turnout for this favorite KFES event. In fact, our luncheon was sold out. We were especially delighted to be joined again by our I-4 warriors, our two Orlando members–Moonika Mägi and Helen Tammela–who are undeterred by the drive. Aino and Ants Tompson once again made the drive from Naples; thank you! Paavo Känd joined us from Gulfport. Our newer members Ludmila Stelmokene and Hannes Jakobson joined us once again too and jumped into our festivities. Astrid Normet, who joined KFES in November with her husband Heinar, brought new energy into our sing alongs. In fact, Hannes Jakobson was quite taken by all the extra verses sung by the ladies to “Ma vaatsin paadist kiikriga, kui kaugel on see Saaremaa.” Everyone added fabulous voices to our group songs. And we were pleased to welcome first-timer Sindi Haller. And these very special guests were introduced to our group by Sunne Säre and Märten Vaikmaa: Sunne’s sister Betti Säre and Külliki and Jaan Piliste. Another friend of our group, Sigrid Bratic, busy with her children accomplished in dance and spearfishing, joined us about dessert time. As we know, Sigrid is the founder of the fabulously successful Little Greek Restaurant franchise, and Külliki and Jaan are new owners in Spring Hill (FL). When in the area there, please stop in! Etta Erna isa Märten Vaikmaaga. KFES Jõululõunasöök. 8. dets. 2018. N Redington Beach, FL. Foto Erkki Taada. Two new friends: Etta Erna Vaikmaa and Eliot Toomepuu. KFES Jõululõunasöök. 8. dets. 2018. N Redington Beach, FL. Foto Erkki Taada. KFES extends a HUGE thank-you to three extraordinary women who made this event so special. Kaie Põhi Latterner once again generously opened her home to our group. Anneliis Kuusik and Virve Kai Bulla were tireless in executing all the complicated logistics. Eric Cabrera figured out how to fit 20 cars into no more than 4 neighboring driveways; what a feat that was! We also thank our members for all their special contributions. Verivorst was contributed from those making our traditional Christmas sausage in the kitchens of Maare Kuuskvere and Kaie Põhi Latterner. Homemade kapsapirukas was made according to Urve Põhi’s secret recipe. Homemade piparkoogid came from Anneliis, Maare and Virve Kai; and Anneliis once again made her delicious cranberry sauce and sauerkraut (two separate dishes, of course!). A fabulous baker, Virve Kai made our traditional kringle-kolane sai and chocolate fudge. Special treats came from the Vaikmaa kitchen: traditional Estonian sauerkraut and a non-traditional chocolate cake with sauerkraut as its special ingredient. While our roast pork main course came from our favorite German deli, these homemade touches mentioned and additional delicious contributions made this a special traditional eesti jõululõunasöök. All of this was graced by the blessing offered by our own Pastor Priit Rebane. Our extraordinary hosts Kaie Põhi Latterner, Anneliis Kuusik and Virve Kai Bulla. KFES Jõululõunasöök. 8. dets. 2018. N Redington Beach, FL. Foto Erkki Taada. Pastor Priit Rebane offers the Christmas blessing. KFES Jõululõunasöök. 8. dets. 2018. N Redington Beach, FL. Foto Erkki Taada. We started at 2:00 pm. What time did this revelry all end? Well, after some more singing accompanied by Kaie on the accordion and quiet time over drinks seated around the outdoor fire pit, the word is our last guest went home about 10:00 pm. That broke last year’s record. Take a look at our gallery of photos. We hope this will encourage you to join us next year! In the meantime, we wish you häid pühi!